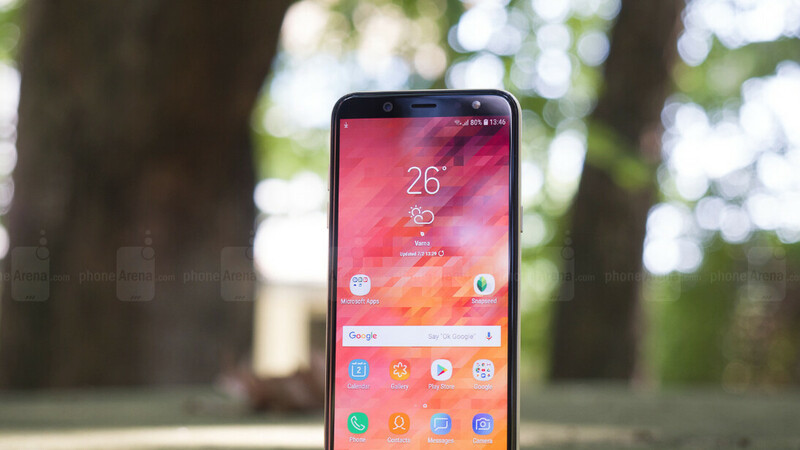 Samsung Galaxy A6 is already available in the United States since last month, but Cricket customers will only be able to grab it starting next month. The carrier has just announced the Galaxy A6 will be available for purchase on November 9 for less than $400. The smartphone will go on sale on Cricket's online and retail stores at the same time. It's the same model that AT&T started selling one month ago, only cheaper. Apparently, AT&T offers the Galaxy A6 for $420, while Cricket has it for less than $400. Unlike the Galaxy A6+ model that features a dual-rear camera, the Galaxy A6 has a single 16-megapixel camera on the back. Other highlights of the mid-range smartphone include a stunning 5.6-inch Super AMOLED display with HD+ resolution (no notch) and a decent 3,000 mAh battery. On the inside, Samsung's Galaxy A6 device packs a 1.6GHz octa-core Exynos 7870 processor, 3GB RAM, and 32GB expandable storage (up to 400GB). The device ships with Android 8.0 Oreo right out of the box, but we expect the Galaxy A6 to be updated to Android Pie next year. Nice to see a A series phone appear at AT&T and cricket.